A lot of illnesses are treated by taking medications. At the same time, existing conditions are also managed with the help of prescribed medicines. Your doctor may prescribe them to you after visiting a medical clinic in Guelph when you are not feeling well. Keeping track of your medicines can be fairly easy if you only have a prescription. The challenge comes in when you have to take multiple prescriptions, each in a different dosage and schedule. Not only will the right dosages and intake schedules confuse you, there may also be instances where ingredients from the different medications may react to each other in a negative manner. This is where medication review brings great importance. A medication review enables a healthcare professional, usually your physician or a pharmacist, to evaluate the effects of the medications you are taking to your health and to each other. Changes to your medications may depend on the results of the review. Your physician can check the effectiveness of your prescriptions. Various circumstances may reduce their effectiveness in the long run. Chemical reactions, especially when taking multiple medications, that may otherwise negatively affect your health can be avoided. 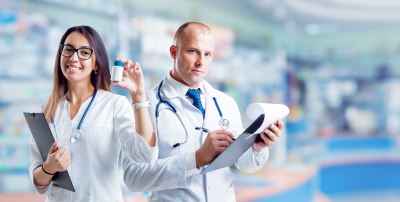 The healthcare professional can determine if you don’t need the prescriptions anymore or if there is a need to increase or reduce their dosages. You can visit your pharmacy in Guelph to have your current medications reviewed. If the pharmacist believes that there are certain issues with the medications you are prescribed with, you may be referred to your physician. In this case, you will have to book an appointment as per the regulations of your physician. As much as possible, schedule the review immediately so your doctor can quickly check and evaluate your medications and your condition. Once you visit the walk in clinic in Guelph, Canada where your doctor practices, you will be led to a private consultation room. This is where you and your doctor will discuss your medications thoroughly. Tell the professional about your current medications as well as supplements you are taking. It will be best to have an updated list of these medicines. You are also encouraged to voice out your concerns, may they be related to side effects or symptoms you are currently experiencing, among others. Make sure, to be honest with your doctor about what is going on so they can evaluate the situation accurately. Recommendations, changes to your prescriptions, possible next appointment dates will be discussed near the end of the review. Visit us at Arkell Walk-In Clinic & Arkell Pharmacy for your medication review! Call us today! This entry was posted in Pharmacy and tagged Medical Consultations, Medical Examinations, Medication Review, Pharmaceutical. Bookmark the permalink.